Kennedy, 42, co-chairs the 21st Century Health Care Caucus, which was established to drive change in the healthcare system by implementing health IT systems. 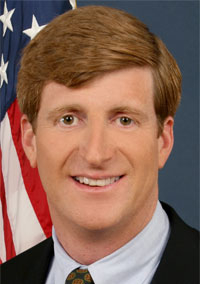 “With this law now effective, we can ensure that those suffering from mental illness and addiction get the care they need, and insurance companies are no longer allowed to discriminate against them by imposing differential treatment limitations or financial requirements,” Kennedy said, applauding the release of interim final regulations in January to implement the new law. Kennedy served Rhode Island as a U.S. representative for 16 years. His departure from Capitol Hill means that Congress may be operating without a Kennedy in office for the first time since 1947, unless another member of the clan is elected in November, news reports stated.